NOTE: Taking a brief blog-cation, as I’m immersed in novel-writing and ongoing downsizing of stuff. (See The Great Photo Purge, published last Monday. I’m happy to report that CLARA AND THE HAND OF GANESH is moving forward. Enjoy one of my favorite posts from the past, and have a beautiful April, a month with very special gifts. April is full of surprises: one day sunny and mild, the next day snowy. Here in northern New Mexico, April is luminously beautiful. Fruit trees blossom, our deciduous trees turn that electrifying shade known to painters as “sap green.” Darkness diminishes as our own special Season of Light increases in strength. Like many in the adoption world, I’ve learned to “flip the script.” On the one hand, I will never know what it is like to have blood-related family. My biological parents were a fact essential to my being in the world. In the final analysis, however, they were distant figures who I ostensibly got to know, but actually merely encountered. On the other hand, I was fortunate to end up with wonderful adoptive parents. It’s been said that every problem is also an opportunity. April has proved this to me. When I recently pulled a back muscle during a yoga class, the pain was excruciating. I went to Urgent Care, then to my regular medical doctor…nothing helped. It was hard to walk. All I could think about was how much my back and leg hurt. This led to a most fortunate discovery: a community acupuncture clinic. After five consecutive treatments, the pain had nearly vanished. What’s more, the clinic’s doctor (of Oriental Medicine) prescribed various supplements and minerals. The alternative measures, in addition to relief from the injury, cured leg cramps and dietary imbalances. I was given a regimen of back-strengthening exercises. What might have been a disaster turned out to be a blessing. Easter brought the best gift of all. 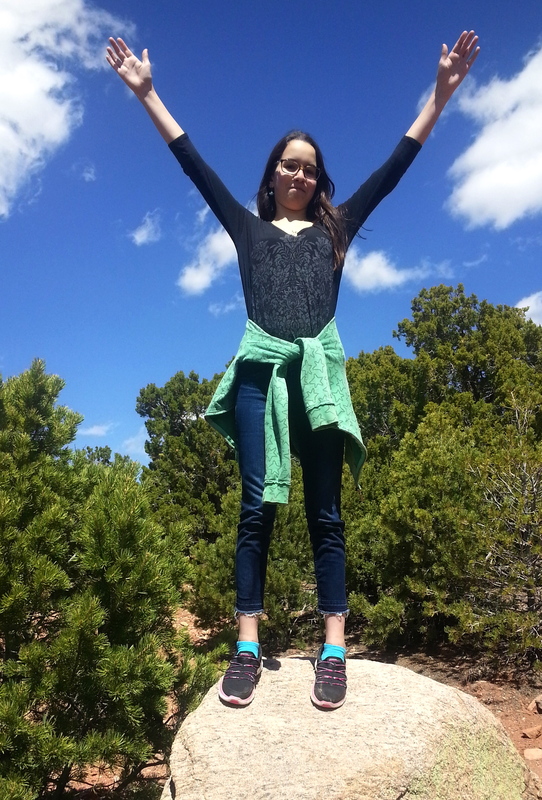 My granddaughter, age 12, chose to visit me during her spring break. She is not a granddaughter I get to see very often, as her mother and father, my son, are divorced. 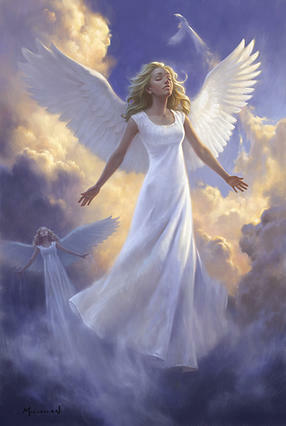 Angels can arrive as the young ones in our lives. During the week this lively pre-teen spent with me, we went to see “Cinderella,” lunched at favorite restaurants, read together, toured the local botanical garden, visited art galleries and museums. The paints and drawing supplies I’d put in her room were put to good use. I gave her my favorite Walter Farley Black Stallion books. She had such a good time, she wants to come back this summer for another visit. Since the publication of The Goodbye Baby, I’ve heard from hundreds in the online adoption community—adoptees, birth parents, adoptive parents, men and women who are still searching for reunions with their original parents. This response has deepened my understanding of why people are seldom happy that they were adopted. Even though adoption may have been “for the best,” it leaves one with the feeling of a shaky foundation. Despite all that, it is possible to create happiness. Is April cruel or is it, as Sackville-West maintains, the angel of months? I’ll let you decide. In the meantime, the angels are there. Even for adoptees! Join Elaine every other Monday for a look at the world through adoption-colored glasses. Last week I bought several books from op.cit, my favorite used book store. The best one turned out to be Barbara Sher’s Live the Life you Love in Ten Easy Step-by-Step Lessons (1996). In it, I discovered a great chapter titled “Clear the Decks for Action.” Sher points out that we cling to our stuff because we’ have the illusion that it will someday be useful and that a world of projects await us. We hold on to potential projects “so that we’ll never be bored”. Everything in your house calls to you. There isn’t an item in your house that isn’t talking to you. It’s saying ‘clean me, read me, fold me, finish me, take me to Aunt Jane’s house, answer me, write me —get your messages, return this here, take that there — it’s a din…[but] for whatever purpose you were put on the planet, it couldn’t be to organize clutter. After countless garage sales, years of saying that I was going to downsize, and believing that I would someday get organized, I finally admitted that I needed help. Enter Wanda, a professional organizer. With her as co-purger. I began ruthlessly dredging through decades of acquisitions and archives. Donating, pitching, selling or otherwise getting stuff gone for good. After conferring at the kitchen table for nearly an hour, Wanda and I agreed that photos and scrapbooks would be the best place for me to begin. We went through boxed photos from every decade of my life, beginning with the years before I was adopted. Wanda removed the photographs from envelopes and pitched duplicates and negatives. I reviewed stack after stack of photos, saving only one or two from every vacation, event, outing, rite of passage of my children, every marathon, ski trip or bicycle trek I’d ever taken. I started three small boxes of photos I’d keep – one for me and one for each of my sons. I’ve discovered some treasures from the past that I didn’t realize that I had. They were buried under layers of the past, and they had to do with my adoption. Another surprise was a collection of album pages from my birthmother.They comprised pictures of Velma’s parents, aunts, uncles and cousins, none of whom ever knew of my existence. She was apparently a woman who kept the various compartments of her life completely separated. It amazed me that I’d never even seen that gallery of pictures. I’m not even sure how they came into my possession. The missing puzzle pieces filled in, but the puzzle still remained. In previous purging campaigns, I’d mainly shuffled things around. Now, with the organizer by my side, I am actually removing excesses from the house. Photos were merely the beginning. Next frontier: the kitchen. Awaiting Wanda and me are the closets, the garage, the guest room and beyond. My new motto: Dare to be Spare! Join Elaine on alternate Mondays for a fresh look at the world from an adoptee’s point of view. Her newest suspense novel Clara and the Hand of Ganesh, sequel to All the Wrong Places, is nearing completion. Do you have a decluttering story? Feedback invited. Acclaimed poet Luci Tapahonso delivers the keynote address at the 3rd Annual New Mexico Writers Dinner on March 28, in Santa Fe, where two New Mexico writers will be introduced as the first recipients of grants created to nurture aspiring writers. Tapahonso, of Santa Fe, served as the inaugural Poet Laureate of the Navajo Nation, 2013-2015. She is the author of three children’s books and six books of poetry. In 2018, she was selected for a one-week Artist Residency at Hedgebrook Writers Retreat, Whidbey Island, Washington, and received a Native Arts and Culture Foundation $20,000 Fellowship. Tapahonso recently served as a judge for Poetry Out Loud, New Mexico’s high school poetry competition, and was selected as “2016 Best of the City-Our City and State’s Prolific Authors,” by Albuquerque The Magazine. A native of Shiprock, New Mexico, Tapahonso has shared her poetry at various institutions worldwide, including Harvard University, Gallup (NM) Central High School, Kenyon College (Ohio), the Tbilisi International Literature Festival in the Republic of Georgia, and “Creativity Week” at the University of New Zealand at Auckland and Wellington. She wrote the script for the exhibition, Creating Tradition: Innovation and Change in American Indian Art at the American Heritage Gallery at Walt Disney World’s Epcot. Tapahonso earned an MA in English from the University of New Mexico, and played a key role in establishing the Indigenous Studies Graduate Studies Program at the University of Kansas. She is Professor Emerita of English Languages and Literature at the University of New Mexico. Proceeds from the annual dinner fund the grants for aspiring New Mexico writers. Grants may be used to support their work, including tuition for writing programs, mentorship, travel, and research. The annual New Mexico Writers dinner brings together a diversity of writers, poets, playwrights, and journalists from around the state, along with literary arts supporters, including librarians, booksellers, editors, and publishers. It is an occasion to celebrate the writing craft and literary arts that contribute to the richness of New Mexico arts, and to raise money to aid aspiring writers in reaching their goals. Laurel Goodluck of Albuquerque, who is publishing her first children’s picture book. She is “…determined to continue to improve (her) skill as a writer and loos forward to being able to produce art where all children can see themselves in books. Note: a silent auction precedes the writers’ dinner. Over 20 prominent writers, poets, and agents will offer “coffee and conversation” sessions to the highest bidders. All money earned from the auction goes toward the 2020 New Mexico Writers grants program. To purchase tickets or for more details, visit nmwriters.org. Join Elaine Pinkerton on alternate Mondays for reflections on adoption, hiking, writing and life in the Southwest. Her novel Clara and the Hand of Ganesha, a sequel to All the Wrong Places, is a scheduled for publication in 2021 . Healing the Power in You-Tapping into Courage, Hope and Resilience is a unique and very personal book on wellness. And for today only, author Dr. Joalie Davie is offering a free download. Newly published, Healing the Power in You combines the best of two worlds. Written in a gentle, conversational tone, the book combines medical science and holistic treatments. Through true accounts, starting with her own case history, Davie shows how people can and have healed from within. Accounts of her patients’ successes with physician-led holistic approaches build a powerful case for using the power within each of us. January has flown, but February is also a great month for new beginnings. Inspired by Marie Kondo, queen of the Declutter World, I vowed to sweep through the entire house and prune the excess, reduce the redundancies, eliminate the irrelevant. It’s not the first time I’ve embarked a declutter campaign, but this time, I am being non-negotiable. My new motto: OHIO (Only Handle it Once). Years of selling stuff at neighbors’ yard sales, donating to charities, giving things away: I still felt hopelessly cluttered. The “things” grew back, multiplied, maybe even reproduced at night while I was sleeping. Correspondence collections are close to my heart, harder to part with than books, photos, or just about anything else. Because it would be tough, I decided to start there. I recently tackled a column of banker boxes that resided in a closet, unopened, for several decades. I’d do my heirs a favor by going through, keeping a precious few letters, and taking the bulk of them to the recycle bin. As an adult adoptee, I’ve always believed that the best way to know where to go, one must see where one has been. I am reading through the boxes of letters, keeping a precious few but relegating most of the epistles to the recycling bin. Typed and penned words from the past made time fall away. I was reminded of a time when letter-writing was the way to keep in touch. Those missives kept us close despite the miles in between. Now, with Email, Skype, Facebook, WhatsApp and other channels of communication, letters are nearly obsolete. With their passing, we will have lost something irreplaceable. On the other hand, think of that person who’d love to hear from you, not instantly. Perhaps it’s not too late to revive the custom of letter-writing. Join Elaine on alternate Mondays for reflections on life as seen through adoption-colored glasses. Do you enjoy writing letters? Comments are welcome! The Goodbye Baby gives an insider view of growing up adopted. As a writer of novels, I find life stories endlessly fascinating. That said, some are more interesting than others. As told to and by author Daniel Bergner, Sing for your Life, the biography of Ryan Speedo Green, is definitely in the latter category. Ryan Speedo Green, a man with the heart and voice of an opera singer—a voice to be recognized only later—grew up in hard scrabble circumstances. Neglected son of mostly absent parents, he began life in a trailer park and later in a house across the street from drug dealers. Until music became part of his life, he was wild and out of control. By age twelve, he was in solitary confinement at a juvenile detention center. His future looked bleak. How could someone like this rise to performing major roles at the Metropolitan Opera in New York City and in Europe? Tracing Green’s journey from the mean streets of a nomadic childhood, Sing for your Life explores the challenges facing an African-American performer in the world of professional opera. Green’s is an astonishing journey, one that was aided by dedicated teachers and mentors. Green’s teachers have stories of their own. One of the most pithy accounts is that of Mrs. Hughes, Green’s elementary school teacher. A short Italian Irish woman, her life-long ambition was to be a teacher. Mrs. Hughes was the earliest of mentors, and possibly the most influential, to help Ryan on his circuitous journey to the opera stage. Others helped him with language and diction, preparing solos for auditions and eventually to becoming the opera star he was destined to be. In 2011, at the age of twenty-four, Ryan, beat 1,200 other selected singers to win a nationwide competition hosted by New York’s Metropolitan Opera In the end, his formerly absentee father came to see him onstage. From that point on, his career soared. Join Elaine on Mondays for reflections on life as seen through adopted-colored glasses. I’m in love with a new part of America! (New to me, that is.) My friend Deborah Aydt Marinelli, a soul sister with whom I spent years of my much younger life,invited me to spend Christmas holiday with her in Niverville, New York. Because my sons and grandchildren wouldn’t be coming to visit until the end of December, I decided “Why not?” It would be only the second time I hadn’t spent Christmas in Santa Fe. 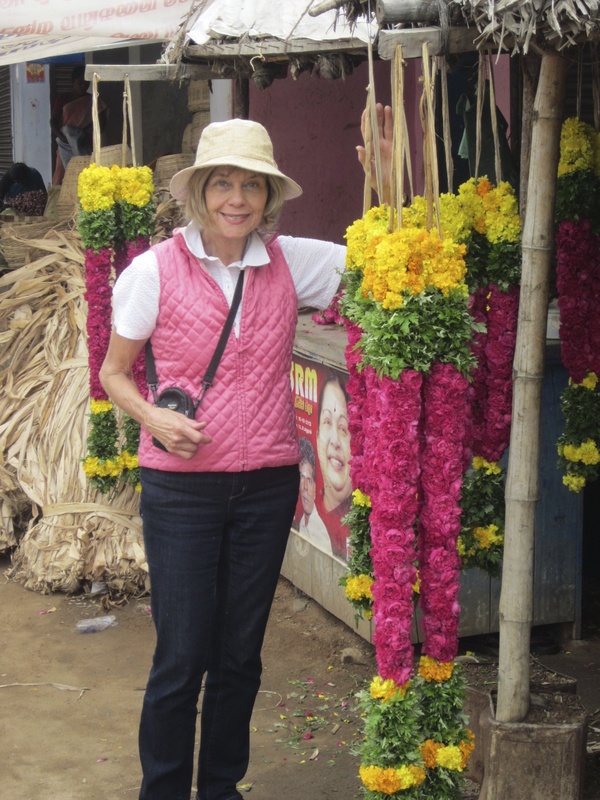 The first time was when I travelled to India to research a novel. (That’s Clara and The Hand of Ganesha, to be completed in 2019). Deborah is one of my most brilliant and accomplished friends. She’s a PhD in literature, a professor, world traveler, author of over a dozen books, mostly young adult novels. After losing her beloved husband Larry in the spring of 2018, she came to Santa Fe, New Mexico, to revisit old, formerly familiar places. We spent time together. Our mutual Santa Fe years, in the 70s and 80s, had created in us a deep bond, one that survived the 30 years that had passed since we’d last seen each other face to face. She knew my children when they were in elementary school; I considered her son and daughter as part of my own family. When I accepted her gracious invitation to visit for Christmas, I fully expected to help her with estate and business matters. Having been through the process of losing a husband, I would be the supportivel amanuensis. Instead of that scenario, however, she treated me to a tour of the area around her hometown of Niverville, New York. We enjoyed a magical performance of The Nutcracker in Albany. Other days found us at a matinee of the new Mary Poppins movie, and a beautiful program of Lessons and Carols at a Dutch Reform Church. I went with her to a Friends meeting in Chatham, we relished lunches at little general stores and country inns, feasted on shepherd’s pie at the Beckman Arms Inn in Rhinebeck, New Yorkthrough. The Beekman Arms has hosted many luminaries throughout the centuries, including President George Washington. Deborah invited nine of her friends on the 25th and we enjoyed a magnificent turkey dinner with lavish trimmings. After Christmas day, we traveled by car, bus and the subway to meet a friend for lunch in New York City. After lunch, we walked all over Greenwich Village and the West End, including along the iconic Highline. We passed by the former brownstone apartment of poet Edna St. Vincent Millay, popped into galleries, found post-Christmas 80% off sales at small boutiques. Two sweaters for the price of one? Who could resist? We drove through the countryside to attend events.The rolling land around Niverville and Albany is lovely. Forests, farmland, fields of sheep and llamas: a refreshing change from the high desert environment of northern New Mexico. We passed by the home of Robert Frost, Bard College, the Culinary Institute of America (CIA), the Village of Red Hook. Many villages, boroughs, and hamlets exist cheek and jowl in this corner of our country. Except for the often overcast skies of Winter (I’ve resided in the sunny Southwest too long), I could live there quite happily. Nine days flew by. The visit, all too soon, came to an end. The best part had been reuniting with Deborah. I invited her to the sunny Southwest for Christmas 2019, and we vowed to keep in closer touch throughout the year. I’ve always believed that if you want to see where you’re going, it’s advisable to see where you’ve been. This holiday season allowed me to do just that. Discovering upstate New Year, an old friendship made new again, walking around The Big Apple: all of this comprised a grand finale to 2018. May YOUR 2019 be full of health, happiness, prosperity and productivity. May we bridge the gaps with those who do not share our beliefs. As Gandhi put it, may we be the change we wish to bring. HAPPY NEW YEAR one and all! What was the best part of your holiday? Feedback invited! Join Elaine on alternate Mondays for reflections on life as seen through adoption colored glasses. NOTE: Once again, I’m immersed in writing a novel, therefore, I’m republishing one of my favorite posts from the past. A reminder of what I appreciate, a song of gratitude. Adoption is a mixed blessing, but a blessing nonetheless. Here’s wishing you and yours a beautiful holiday season! Join Elaine on alternate Mondays for reflections on life through adoption colored glasses. Please let us know what you’re most grateful for this holiday season! NOTE FROM ELAINE: Both my original and adoptive dads were WWII veterans. As an adopted child, one of the so-called “goodbye babies,” I am a product of that bitter combat. Since the publication of my adoptive father’s wartime correspondence (From Calcutta with Love, Texas Tech University Press, 2002) I’ve been studying both world wars. Today, in honor of all our country’s veterans, I bring to you one of my favorite poems from the first global war. World War I ended 100 years ago. The fight involved 32 countries and took the lives of 10 million men. Sadly, the “war to end all wars” did not. Instead the harsh years of 1914-1918 spawned new wars. May we learn from history. Join author Elaine Pinkerton on alternate Mondays for her reflections of adoption and life. If you are honoring a veteran on this Armistice Day, please let us know. Your comments are invited! Looking at the world through adoption-colored glasses. 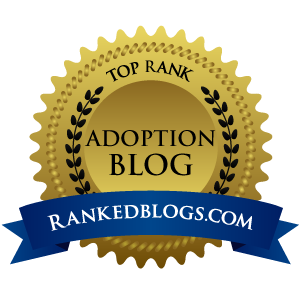 Note from Elaine: I continue to write adoption stories. Clara Jordan, heroine of my recent suspense novel All the Wrong Places, travels from Virginia to New Mexico hoping to locate an unknown birthmother. Instead of finding roots, she falls in love with a two-timer named Henry, a sly character who betrays her. She runs further into trouble as she searches petroglyphs for traces of a mother she’s never known. All the Wrong Places is available from http://www.pocolpress.com or from Amazon. My novel-in-progress, Clara and the Hand of Ganesha, takes our protagonist to the shore temple of Mahabalipuram in Tamil Nadu, India. Participating in NaNoWriMo, I plan to finish the first draft this month. Stay tuned! It’s been said that trauma is not a mystery, that it attaches itself to you in a way that’s hard to undo. My story, as related in The Goodbye Baby, offers living proof. Being an adoptee has added melodrama to my life, created a passion for writing, and ultimately inspired me to take off the masks and to discover who I really am. 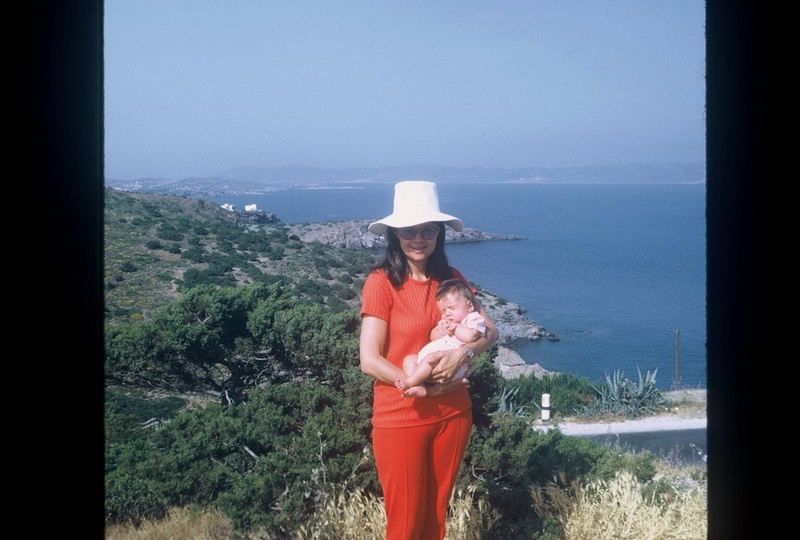 Though I was fortunate enough to land in an adoptive family who loved and cherished me, it could not make up for losing that first “mother connection.” My birth mother and I said goodbye before I started first grade, and I waited 38 years for her to come back into my life. I was deeply wounded by the separation. My struggles have been with feeling abandoned, isolated, and rejected. I’ve worried for years that I will be misunderstood and that I’m simply not good enough- as a daughter, a friend, a partner, a mother, or even as a human being. Because of being adopted, I felt small and insignificant. Probably because adoption wasn’t something my family discussed, my negative assumptions became deeply embedded. Throughout my adult years, I accomplished a great deal, but in my mind, I was never admirable. Harmful pangs of inadequacy took root and shaped my outlook, my decisions, my disastrous romantic choices. Until I re-read my diaries, I never realized that I myself had invented the self-damaging myth. How did I deal with my adoption-induced complexes? My adoptive parents had to raise a delinquent teenager who drank excessively, stayed out too late and attracted bad boyfriends. As I grew older, I tended to be an over-achiever: running nine marathons to lower my finishing time, yet always “keeping score” and endlessly coming up short. Thirty years ago, when I first started to write about my adoption, the title of my book was Reunions. My plan was to meet both my biological parents and write about finding the missing puzzle pieces. I met my original parents, but the reunions were not what I hoped for. The pieces were in place but the puzzle remained. Only writing The Goodbye Baby completed the picture. After both sets of parents died, I found that looking into the past gave me the wisdom to see where I’d been and how to go forward. What my adoption has taught me is that the world reflects my inner reality, that my happiness or unhappiness depend on my actions and not on outside forces. I’ve learned that it is never too late to make a fresh start. 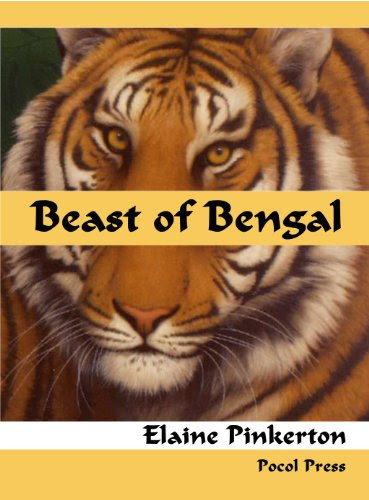 Join Elaine on alternate Mondays for reflections on adoption and sneak previews of her newest novel, Clara and the Hand of Ganesha.